Norwegian junior hockey is going to be very different in 2012-13. Up to this past season, they had a unique system of under-17 and under-19 leagues. Most countries in Europe, including Sweden, Finland and the Czech Republic have under-18 and under-20 leagues, something that has allowed for those countries to develop some of the best junior players on that continent. Many Norwegian players who want to show their potentials have had to go elsewhere to prove themselves. Mats Zuccarello and Sondre Olden both played for MODO in Sweden; Olden also was given the opportunity to play in the OHL with the Erie Otters. Lars Volden, the second Norwegian goalie ever chosen in the NHL Entry Draft, was playing for Espoo Blues in Finland at the time when he was chosen 181st overall by the Boston Bruins in 2011. All three Weberg brothers — Nicholas, Sebastian and Joachim — have found themselves at Shattuck-St. Mary’s rather than playing junior hockey back home. With Norway’s ranking on the world stage improving every year, the time was nigh to emend the junior program so that the country’s youth movement could find itself on such an upward climb in its own right. With this amelioration of Norwegian junior hockey on the horizon for the upcoming campaign, this could also allow for players to finally develop a kind of healthy competition. Before this, many players would be promoted to professional teams on several occasions during a season, sometimes to the GET-ligaen, Norway’s highest professional league, or to the second-highest league, which is known as the First Division. Giving players the chance to play pro hockey while still junior age could have its advantages, such as instilling a sense of maturity in 16- and 17-year-olds, something many over here would consider quite remarkable since there are players that age who still have yet to play their first games of major junior hockey. What does this change to Norwegian junior hockey mean for the top teams in that country? What players are going to step up and show their extraordinary potentials? Let us look at the junior programs of ten of the best organizations in Norway and find out. 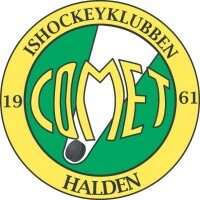 Comet is going to be one of the more enigmatic teams in Norwegian junior hockey in 2012-13. A team based out of Halden, they have found themselves with considerable graduation of several key players, most notably Herman Benjo Kopperud, whom they had acquired in a transfer from Stjernen last season. Considered one of the best 1996-born players in Norwegian junior hockey, Kopperud has moved on to the J18 team of HV71 in Sweden. Additionally, Leotrim Ramaj, who was considered one of the better young defencemen coming into the organization has opted to end his hockey career. With Kopperud and Ramaj both not returning, Comet will have to dig deeper into their talent pool to fill the vacancies they are leaving behind. Andreas Strudahl’s return to Norwegian junior hockey after being courted by a team in North America is going to be a blessing for Comet’s under-18s. At 6’2″ and 227 pounds, Strudahl is a big goaltender hoping for a second chance with his first team. Up front, Comet’s under-18 team will have the likes of Sindre Agnalt Baekken, Kristian Bjelvin Lund and Herman Kruse Johansen, while their defence will include Sigurd Nilsen Bruun and Bjørn Marius Andreassen, who was transferred from Sparta Sarpsborg. Additionally, they will have team captain Benjamin Strøm, a strong, hard-hitting player who can play both forward and defence. On the under-20 team, forwards such as Andreas Sacco Karlsen, Christopher Bøe Nilsen (who was transferred from Lillehammer) and Martin Engebretsen will be called upon to step up and play big minutes; as well, they will be getting Ole-Kristian Myran in a separate transfer from Sparta. One aspect in which Comet will find themselves more competitive than before will be in net. Comet has several key young goaltenders coming into their new systems, hoping to become some of the best in Norwegian junior hockey. Andreas Strudahl is one of them. An impressively built goaltender at 6’2″ and 227 pounds, Strudahl, who is eligible for the 2014 NHL Entry Draft, comes in from the Lillehammer organization, hoping to build on what he had learned there to his new team. It will not be his first tour of duty with Comet, though, as it was in Halden where he honed his craft before going to Lillehammer in 2011-12. Despite the fact that he missed most of last season with a knee injury, Strudahl will be expected, as a 16-year-old, to be one of the key men between the pipes, alternating between the under-18 and under-20 teams, all the while increasing his professional stock and giving him more exposure that he would not have gotten in Lillehammer, especially with more goaltenders to compete with. At 6’2″ and nearly 230 pounds, Strudahl surely has the professional size to become a dominant goaltender and he has already been courted by a team in North America. In addition to Strudahl, Comet’s under-18 team will employ the services of David Andreas Sydnes. A goaltender a year younger than Strudahl, Sydnes comes in after playing for the former under-15 team. He is not as big as his 1995-born counterpart and creasemate, as he is only 5‘7“ and 143 pounds, but he will get the opportunity to fill out and fulfill his potential, much in the same way that Strudahl did before him. 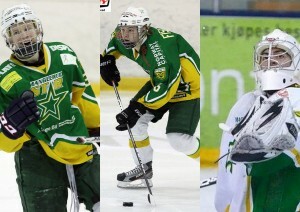 Both Strudahl and Sydnes will be vying for the backup position to Lars Petter Stø, the new #1 for Comet’s under-20 team. In recent history of Norwegian junior hockey, it is not unusual to see a much younger goaltender contest for the backup position of a goalie anywhere up to four years older than he; with the new structure, however, it is not yet known if that will continue but, if it were, their promotions will not be met with too much surprise. Frisk Asker has always been one of the deepest teams for offensive production in Norwegian junior hockey. In 2012-13, that trend should continue. Their under-18 team will have considerable scoring punch, especially with the return of Henrik Medhus. Last season, Medhus scored 76 points (32 goals, 44 assists) in only 32 games in the former under-17 league, a campaign also highlighted by going a point per game in 15 contests at the under-19 level. Other key contributors to the offence last year were Eivind Eiken Andresen, who had 72 points (30 goals, 42 assists) in 31 games and Anders Tangen Henriksen, who had 66 points (25 goals, 41 assists) in 25 games, as well as being +49. They will be joined yet again by 1996-born forward Marius Carho Hansen, who scored an impressive 31 points (13 goals, 18 assists) in 34 games last year despite being a year younger than most of his teammates. Last season, the under-19 team did not have the same fortune; many of their top offensive forwards — including Herman Sagfossen and Espen Klem — were all called up to play more games for Frisk Asker’s First Division team. Additionally, Kristian Jørstad Brovoll only played four games last year before an injury prematurely ended his season. The under-20 team, however, will have to find someone to take the place of their graduating captain, Ola Sønju Bårnes, who was an alternate captain on the First Division squad, as well; he is expected to play professionally next year. On the blueline, Frisk Asker is expected to have significant talent and size. A key returnee for the under-18 team will be Maximilian Viking Lindskog Pettersson. Pettersson scored 29 points (14 goals, 15 assists) in 26 games last season in the former under-17 league, getting promoted to both the under-19 and the First Division teams during the 2011-12 campaign. Another defenceman expected to put up points is Frederic Viggen, who is more of a two-way blueliner, recording only 13 points (five goals, eight assists) in 27 games last year after being transferred from Rosenborg during the 2011 offseason. On the under-20 team, Frisk Asker will once again employ the biggest player in Norwegian junior hockey. Elias Andreassen Thøgersen is only 18 years old but he already stands 6’9″, the same height as Zdeno Chára; Thøgersen, however, is quite thin for his height, weighing only 210 pounds. Thankfully, he will be returning to play for the under-20 team whose blueline will be getting a complete makeover, losing Nicolay Andresen, Dag Christian Frøystad and possibly Bjørn Sverre Liknes Østby to the GET-ligaen in 2012-13. The under-20 team’s defence will not be completely decimated, though; Jørgen Hofsli and Marcus Carlgren are both expected to return. Despite all of the graduations, Frisk Asker is going to be very strong in net. Many of their key goaltenders are returning to junior hockey in 2012-13. On the under-18 team, the bulk of the netminding duties will be split between 1995-born Theodor Hestnes and 1996-born Fredrik Grønstrand. Last season, Hestnes had a 3.86 goals-against average and an .880% save percentage in ten games with the under-17s but he truly shone during a callup to the under-19s. In seven games at that level, he recorded a 2.51 goals-against average and an .899% save percentage. The majority of the games last year, however, were started by Grønstrand, who had a sparkling 2.77 goals-against average and a .913% save percentage in 23 games a season ago. The under-20 team is expected to have a considerable #1 goaltender this year in Edvardt Andreas Vinjar Saugen, a 5’7″ netminder who had to considerably backstop Frisk Asker’s under-19 team last year since Kenneth Helgesson spent most of last season with the First Division squad and Espen Johansen played the majority of the 2011-12 campaign in the GET-ligaen, circumstance brought on by the graduation of Filip Alexander Hammarlund in 2011. Saugen may have only played in nine games last year for the under-19s but that number should sore this coming year with the under-20 team. Lillehammer has the possibility to be one of the most balanced teams in Norwegian junior hockey in 2012-13. They will have considerable depth in all positions, something that not many other teams have just yet. Their under-18 team is especially going to be a force in their new league. Leading the way will be Daniel Karlsen Stensrud. At 6’3″ and nearly 200 pounds, Stensrud is quite big for a 17-year-old player, something that, coupled with stellar offensive instincts, will make him one of the league’s more dominant players despite the inevitability of him being promoted to the under-20 league during the course of the 2012-13 campaign. Stensrud was being courted by several junior teams in North America, all of whom felt that his size and his offensive potential would make him a can’t-miss prospect. His 85 points (37 goals, 48 assists) in 35 games in the former under-17 league determine that one of the more dynamic players in Norwegian junior hockey will be returning once again. His professionalism on and off the ice, as well as incredible skating ability and a quick accurate shot, is going to be welcomed back with open arms in Lillehammer, especially in their first year in the new structure. Thankfully, Stensrud will not have to shoulder the offensive load all by himself. He will be complemented by brothers Marius and Stian Kaltrud Nystuen, Gustav Stenseth, Eirik Myhre Slåsletten, Christoffer Larssen Berger, Mads Mathisen, Håkon Imset Stormli and Joachim Mathiesen Engesveen. On the under-20 team, the team will need to find someone to replace Endre Medby, who is graduating to the GET-ligaen after scoring 187 points (89 goals, 98 assists) in only 62 junior games in the under-17 and under-19 leagues combined. Players who are considerable options to take his place include Ole Marius Bjørnslett, Marius Thomassen, Erik Stensvold, Stian Uttakleiv and Tord Åsegg Simensen, who was the under-19 team’s captain last year. In addition to this considerable depth up front, Lillehammer may also employ one of the most talented defensive corps in Norwegian junior hockey, despite their youth, especially at the under-18 level. The key returnee among offensive defencemen is Sivert Lehn Wannebo, who scored 23 points (six goals, 17 assists) in 31 games last season with the under-17 team. That is quite impressive, especially with such steady stay-at-home blueliners on the team, including Robert Willman Borvik, Erik Rønning Sve and Håvard Steen. On the under-20 team, the success of the defence corps will begin with Kristoffer Veddeng Edvardsen, a 1993-born blueliner who may not put up a lot of points but is very steady. They do not have any considerably offensive blueliners on this team but a balance of offensive production and defensive acumen will surely make life easier for goaltenders Jonas Arntzen and Jørgen Hallstrøm, the goaltenders expected to take over for Ole Eskil Simonsen (graduating to the under-20 league), Peter Vincent Strøm (graduating to the GET-ligaen) and Daniel Jørgensen (transferred to Storhamar). Ole Kerlefsen Nilsen is also going to be transferring to bring significant size and depth in goal; the 6’6″ 17-year-old Stavanger native will play for both the under-18 and under-20 teams. 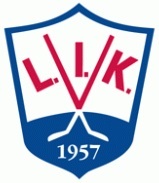 Lørenskog is going to be one of the youngest teams in Norwegian junior hockey in 2012-13. Despite that youth, their under-18 team is going to have some considerable talent up front. Andreas Arctander, Ole Tobias Silseth and Niklas Presthus are three players expected to provide the majority of the scoring punch. Last season, Arctander scored 49 points (20 goals, 29 assists) in 34 games, Silseth scored 41 points (18 goals, 23 assists) in 32 games, and Presthus scored 26 points (14 goals, 12 assists) in 32 games. All three players got to play in the under-19 league last year so promotion is not out of the question this coming year. They will surely help Lars Jørgen Knutsen, Truls Tveten, Agathon Maximillian Skei-Hart, Martin Rustad and Lars Paulsen on the under-20 team if they are given the chance to be promoted during the season. Simen Nielsen will likely be given promotion; a 1994-born forward himself, he recorded 53 points (19 goals, 34 assists) in 21 games in the under-19 league last season and emerged playing 33 games in the GET-ligaen. Ole Morten Furseth is going to be one of the top goaltenders for Lørenskog this season. In addition to his stellar netminding, the team will have significantly balanced scoring and defence that makes them one of the more dangerous teams in Norwegian junior hockey. On defence, Lørenskog will be losing one of the top scoring blueliners in Norwegian junior hockey as Sebastian Kjos Sæves will likely be playing in the GET-ligaen next season. A highly skilled offensive defenceman, Kjos Sæves’ 91 career points (28 goals, 63 assists) in 65 career games at the under-19 level will be missed. Expected to take up his minutes will fall to the likes of Kenneth Pedersen, Fredrik Gran Nilsen and Kevin Nilsen Berg, all under-18 eligible blueliners who could once again be promoted. Additionally, the under-18 team will have a considerably large defenceman for his age group. Andreas Marthinsen is already 6’1″ and he is only 15 years of age. He played only four games with the under-17 team last season but he is expected to play a significant role for the under-18 team this year. 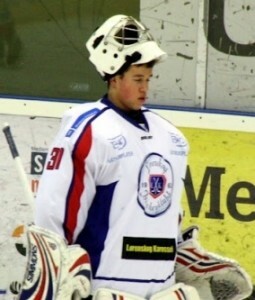 Despite youth up front and on the blueline, Lørenskog will have significant talent and experience in goal. Their under-20 team’s #1 goaltender this season will likely be Ole Morten Furseth, who registered a 4.42 goals-against average and an .872% save percentage in 19 games last season, taking over the reigns in 2012 after André Monge transferred to Manglerud. Thai-born netminder Niwat Hellerød and fellow 1994-born backstop Torje Hansen will contest to be Furseth’s backup. Happily, the under-18 team has three solid goaltenders — Knut Leo London, André Carlson Kristiansen and Stian Johannessen — who could all play well enough for promotion. There is also a possibility that Hein Hofvind, a 1993-born netminder who split last season between Lørenskog and Jutul IL in the First Division, could return to Lørenskog once again. 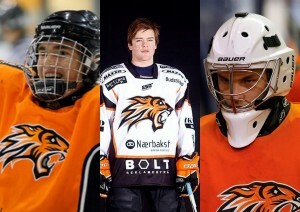 Manglerud is going to be another fortunate team in Norwegian junior hockey in 2012-13. Due to the success of their previous programs at both the under-17 and under-19 level, they will have significant talent coming to the new under-18 and under-20 teams, something that will help them become the dominant team that they have been for several years in the junior leagues. A team based out of Oslo, Manglerud gave ample opportunity for many younger players (1995 and 1996-born individuals) during the 2011-12 season, something that has given the coaching staff on the under-20 team ample opportunity to see some of the players who may alternate between both squads. That being said, both teams will have superlative talent within their organization that will allow for them to be successful. Up front, one of the key players on the attack will be Marcus Bryhnisveen. Bryhnisveen, whose older brother Nicolai plays in the GET-ligaen, had 28 points (12 goals, 16 assists) in 22 games in the under-19 league last season. Additionally, he recorded a point per game in 19 contests in the First Division (seven goals, 12 assists), as well as an assist in 14 games in the GET-ligaen. He will surely be a key cog offensively for the under-20 team next season. As well, the team could rely on a key two-way forward such as Joachim Engebråten Hermansen. A 1994-born player, Hermansen scored only 12 points (five goals, seven assists) in the under-19 league last year but it should be noted that he also spent 31 games with the First Division team. As for players who could be with the under-18s, Kristoffer Nomikos may be one of the most reliable players. He scored 25 points (13 goals, 12 assists) in only 17 games with the under-17s last year, in addition to ten points in 15 games for the under-19s. 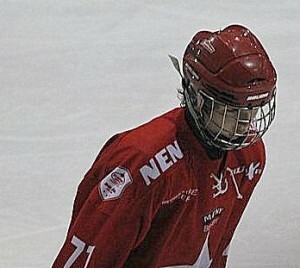 Sander Lunde Boroczky has also been showing his scoring touch after returning from American prep school while Magnus Eriksen, one of Norway’s shortest players at only 5’4″, could provide an offensive spark after tallying seven points (three goals, four assists) in a 27-game stint in the First Division last year. One player who is definitely going to show his stuff at the under-18 level will be Rolf Thomas Bendixen Aastad, a 1997-born forward who had 19 points (six goals, 13 assists) in 17 games with the under-17s last year. Aastad, as well as players such as Trym Bilgrei, Sondre Harbosen, Mats André Henriksen, Colin Spaberg Olsen, Eirik Bredahl Sæby, Even Baklid, Eric-Andrè Wetteland and Aleksander Selvaag will make up a key nucleus on the under-18 team that will not be completely decimated by graduation at the conclusion of this season. On the blueline, Manglerud’s defensive corps will be a veritable mixture of veterans and younger players, all who are ready to prove themselves in Norwegian junior hockey. One of the younger defencemen with considerable upside is Mikkel Odden Berg. Born in 1996, Berg recorded an impressive 11 points (two goals, nine assists) in 33 games in the under-17 league; he also played five games with the under-19s. He will be complemented perfectly by a rather stay-at-home blueliner in Sander Johan Gleåsen Myklebust, a 1995-born rearguard with a tenacious style of play. As for the under-20 team, their defence could be led by Magnus Alrek Fischer, Markus Nannestad, Vetle Warendorph Dålberg and Christer Simonsen, all of whom are quite talented in all ends of the ice. Thankfully, for Manglerud, they also have some of the best goaltenders in Norwegian junior hockey; Joachim Svendsen, Simen Svedal and Martin Nader Haga are all poised to show their potentials, much like Steffen Kent Søberg, Ale Christer Magnussen and Kenneth Sørli Eriksen before them. Rosenborg is going to be in a very delicate position in 2012-13 under the new Norwegian junior hockey structure. They are not going to have an under-20 team this year, which is actually not unusual since they have not had an under-19 team for the last two seasons, opting instead for solely an under-17 squad. This year, the under-18 team will be filled with many players who have proven themselves professionally, either in the GET-ligaen or the First Division. One player who is going to truly bring that professional grooming with him will be Steffen Ratejczak. He played for all three teams last season (under-17, First Division and GET-ligaen), all before the age of 17. Last season, in 17 junior contests, Ratejczak scored 27 points (17 goals, ten assists); he followed that up with 14 points (ten goals, four assists) in 19 games with the First Division squad and a three-game callup to the GET-ligaen. He is expected to shoulder most of the offensive load and provide considerable leadership to the under-18 team next season. Ratejczak will not be alone, though, as Joakim Vestavik Hofstad, who scored 23 points (13 goals, ten assists) in 29 games last year, can surely help; 1997-born Markus Svendsen Dahl is also coming back after scoring 23 points (14 goals, nine assists) in only 19 games last season until suffering an arm fracture. Other players who could help include Mads Høiseth Gullikstad, Svein Petter Falk-Larssen and Runar Hoff Skaråsen. It is unfortunate, however, that Rosenborg does not have an under-20 team because they surely would have been blessed with offensive talent of their own, with the likes of Andreas Schei Andersen, Martin Myklestad and Martin Trondseth Gjertsen up front. On the defence, Rosenborg’s under-18 team is going to be very young. The blueline will have to be led by Anders Soligard Skanke, Marius Betten Kristoffersen, Ruben Helgemo and Jørgen Kvål. Just like up front, there are many junior-age defencemen who will be thrust into professional hockey due to the lack of an under-20 team; players such as Markus Noteng, Sigve Bråten, Sivert Stubsjøen, Christian Nilsen, Steffen Restad Næve and Martin Wiig will all be playing some kind of professional hockey in 2012-13 — either in the GET-ligaen or the First Division — instead of junior. Goaltending in Rosenborg is actually going to be quite young and inexperienced. They will have Truls Herfjord returning as the #1 goaltender once again after appearing in 28 games last season. Herfjord may have not had the most desirable goals-against average last year as a 15-year-old but he had a spectacular .816% save percentage. Rosenborg’s under-18 team will also try to develop two other goaltenders this year, Kaj Erik Nordtømme and Jonas Strand, especially after Mathias Yttereng decided to stop playing at the age of 15. That being said, though, an under-20 team would need to get some decent netminders of their own, especially with both their 1994-born goalies being out of the organization. 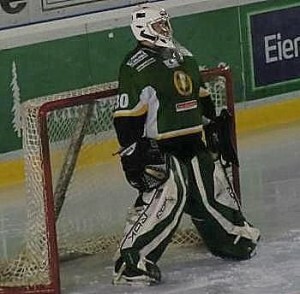 One of their best 1994-born netminders, Martin Dyrø Andresen, has not played since 2011 due to a back injury. They could always make a transfer before the season starts to acquire a 1995-born goaltender for the under-18 team to make life a lot easier. 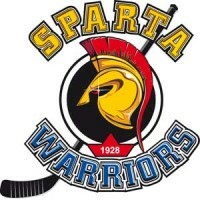 Sparta may be both one of the youngest, feistiest and most overwhelmed teams in Norwegian junior hockey in 2012-13. A team based out of Sarpsborg, the dissolution of their under-19 program in 2010 meant that many players would be promoted immediately to the First Division team instead of playing junior hockey. Thankfully, they will have both an under-18 team and an under-20 team this coming season, something that should help to develop their junior program a lot more than it had been. As well, it will give players between the ages of 18 and 20 the opportunity to strictly play junior hockey again, something that they had not been able to do in almost three years. Their under-18 team is expected to be really strong, especially after winning the under-17 league championship in 2012. Up front, one of the most dynamic players in Sparta’s system will be Joakim Delebekk Johansen. Johansen scored 68 points (39 goals, 29 assists) in 31 games last year and he was also +43. This is incredible since he also recorded 146 penalty minutes, making him one of the feistier players in Norwegian junior hockey. Oskar Drillestad is another key contributor to the offence, putting up 64 points (23 goals, 41 assists) in 31 games in 2011-12. A feisty player much like Johansen, Didrik Svendsen recorded 50 points (3o goals, 20 assists) and 143 penalty minutes last year. Martin Alexander Frøid and Sebastian Rozanski are expected to have big years this season, too. Now that the First Division team is giving way to an under-20 squad, a key returnee would be Adrian Englund Aslaksen, a 1993-born forward who recorded 25 points (16 goals, nine assists) in 31 games last year; he has also represented Norway at the under-18 level and could play for them at the 2013 World Juniors. If he does not return, however, the bulk of the offence will be shouldered by Magnus Nilsen, Ole Sydvold Johannessen and Henrik Oliver Johansen. On the defence, no one will be counted upon more on the under-18 team than Tobias Gabrielsen. A 5’7″, 143-pound, 1995-born dynamic talent, Gabrielsen captained the under-17s to their championship last year, playing superlative hockey in the process. He scored an impressive 46 points (15 goals, 31 assists) in 27 games in 2011-12, as well as a +52 ranking, a season after recording 43 points (12 goals, 31 assists) in 32 contests. He got to play in the First Division last season, as well; he was also allowed to practice with the GET-ligaen squad. Gabrielsen’s offensive abilities, coupled with his leadership, will guide an otherwise young team to glory yet again. Unfortunately, the under-18s will be losing another stellar 1995-born blueliner in 2012-13; Andreas Klavestad, who recorded 29 points (11 goals, 18 assists) in 25 games last year, will be making a considerable jump all the way to the GET-ligaen this year. To help, Sparta will rely heavily on two other blueliners, Fredrik Løken Pedersen and Filip Halvordsson, the latter being a 1996-born rearguard from Sweden. The under-20 team, however, will need significant help on the blueline in 2012-13. All but one defenceman to suit up for them last season will be graduating. Replacing the likes of Patrick André Karlsen Wessel, Per Didrik Sæther, Tobias Skaarberg and Jon-Renè Kristoffersen is not going to be an easy task, especially with no immediately available 1993-born or 1994-born defenders in the organization. This will be especially daunting due to the youth in goal for Sparta. They will be losing Sander René Berg, who is joining HV71’s J18 Elit team, leaving the majority of the netminding duties to Ole Sander Sønsterud-Hansen and Jens Kristian Lillegrend on the under-18 team and Eirik Sætre Henriksen on the under-20 team, now that Sander Skogli is graduating to the First Division with Kongsvinger. Stjernen is Norwegian for “the star” and they are hoping to produce some up-and-coming stars in Norwegian junior hockey. A team based out of Fredrikstad, they are another team who, due to the dissolution of their under-19 program, have had to promote players earlier than usual. Unlike a team such as Rosenborg, however, Stjernen will have both an under-18 and an under-20 team this coming season, both with considerable talent. 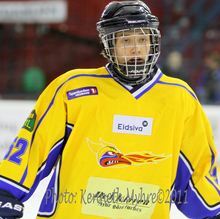 Jostein Ekaas is going to be one of the best scorers in Norwegian junior hockey again in 2012-13. 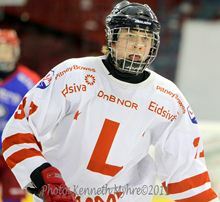 His 115 points last year led the under-17 league, while his teammate and linemate Martin Olav Rønnild finished second with 109 points. The forwards on both teams will be quite skilled. The under-18 team’s key returnees will be Jostein Ekaas and Martin Olav Rønnild, two 1996-born forwards who were first and second in the under-17 league in scoring, respectively, last season while being a year younger than most of their teammates and competitors. Ekaas scored 115 points (54 goals, 61 assists) in only 34 games; Rønnild scored 109 points (58 goals, 51 assists) in 33 games. Thankfully, they do not have to shoulder the offensive load alone. They will be joined by some other top scorers, including Mathias Bøckmann, twins Markus and Mikael Resberg Mikalsen, and budding superstar Mathias Emilio Pettersen. The under-20 team may be losing Carl Didrik Tollefsen (the second cousin of former NHL player Ole-Kristian Tollefsen) to the GET-ligaen but they will have some significantly talented individuals; they include Sten-André Wang Groth, Anders Hoen Olafsen, Henrik Nicolai Borgersen and, possibly, 1993-born forward Martin Lund. The defence for Stjernen will be quite balanced at the under-18 level, making them one of the best in Norwegian junior hockey. Morgan Andersen will be returning after going a point per game in 31 contests (12 goals, 19 assists) and Ole Jakob Fossum Martinsen recorded 22 points (ten goals, 12 assists) in 32 games last year. Michael Rasmussen is expected to be healthy after only appearing in six games last season while captain Jesper Kolle Nipe, Stian Løken, Herman Holmeide Halvorsen (who can also play as a forward) and Martin Alexander Hegg are all going to return. 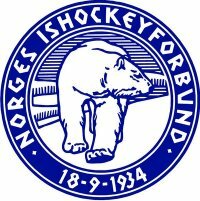 Since many junior-age players were with the First Division team, the under-20 team will be decimated with graduation to the GET-ligaen (Iver Håland and twins Marcus and Martin Bjørsland, especially) but they will be able to send some of their younger blueliners, such as Oskar Hellstrøm, Tobias Hurrød and Simen Dahlstrøm to the under-20s. Goaltending for Stjernen will be also be considerably solid. If they are going to have any success in net, especially with 1994-born netminder Henrik Haukeland going to the GET-ligaen, it could all start with Adrian Johnsen. Johnsen did not have a statistically sparkling campaign at the under-17 level last year but he is so highly regarded within the organization that he played one game in the First Division as well as one game in the GET-ligaen; he will not be 17 years old until October. Thankfully for the under-18 team, if Johnsen does graduate early to the under-20 team, they have four younger goalies who can surely come in and perform, especially since all three 1996-born netminders had statistically better seasons than Johnsen did. That being said, those three netminders (Marcus Dahl, Jonathan Hemstad and Simen Hauge Iversen) can also help Johnsen tutor 1997-born backstopping prospect Martin André Knutsen. If Johnsen does graduate to the under-20 team, he could serve as the backup to Tommy Rydén, who played three games for the First Division squad when Chris-Henrik Nygård was called up to the GET-ligaen. Storhamar is going to have a considerably young nucleus in 2012-13, younger than most other teams in Norwegian junior hockey, but they will have considerable offensive production despite it. This is to be a true testament to the fact that Storhamar has the biggest junior program in Norway. Both the under-18 and under-20 teams are going to enjoy stellar talents up front, players who will make the team regain the respectability it deserves. Ole Petter Øvergaard is going to be one of those individuals. He played for all four of Storhamar’s teams last season and he performed superlatively for each. He recorded 45 points (20 goals, 25 assists) in only 16 games in the under-17 league last season; he was promoted all the way up to the GET-ligaen, in which he recorded two points, including his first top league goal. Vetle Lindstad led the under-17s in scoring last season as a 1996-born player, recording 78 points (21 goals, 57 assists) in 33 games. Martin Gran is another dynamic player, recording 60 points (35 goals, 25 assists) in 23 games at the under-17 level, and even scoring a goal during a five-game callup to the under-19s. Remarkably, Gran will not be eligible for the NHL Entry Draft until 2015. Three 1997-born forwards — Even Langdalen, Anders Gulliksen and Stein André Økelsrud Hagen — are expected to play bigger roles on the under-18 team this year. One player who would be a force once he fills out would be Magnus Eikrem Haugen, who is 6’8″ at only 17 years of age; he does, however, need to add significant meat on his already 198-pound frame. As for the under-20 team, they know that they will be losing Eirik Østrem Salsten to the GET-ligaen and Tom Ivar Hesbråten to the First Division. That being said, however, they could have one of their other top dynamic players return; Kristian Jørdhoy Blystad scored 28 points (11 goals, 17 assists) in 24 games for the under-19s and 16 points (seven goals, nine assists) in 32 contests in the First Division. Storhamar’s defence has been trying its best to compensate for the graduation of Adrian Saxrud Danielsen, who has played in the GET-ligaen since 2010 and even played 27 games in the QMJHL with the Drummondville Voltigeurs last season before returning home to Norway. The under-18 team may have the best 1995-born pair of complementary blueliners in all of Norwegian junior hockey. The offensive punch provided by Robert Vestbakken Olsen (26 points in 34 games) and the defensive steadiness provided by Markus Aalerud (six points in 35 games) was so impressive that they were both allowed to play in the under-19 league last year, as well. Simen Løvhaug Hansen had seven points in 24 games as a 1997-born rearguard, something that bodes well for the future of the under-18 team; to add, two other 1997-born defencemen, Nicklas Skuggerud Arnseth and Bjørn-Erik Pritzlaff Hansen, are expected to play bigger minutes this season. On the under-20 team, the return of Eirik Dagfinrud does not seem likely; he only played five games in the under-19 league last year before being promoted to the GET-ligaen, where he played 34 games. Pål Brendløkken and Anders Theodor Braavold, however, could return and emerge taking over the minutes left behind by Dagfinrud’s departure; Braavold actually played in both the First Division and the GET-ligaen last season, too. In goal, Storhamar’s under-18 and the under-20 teams are both going to do considerably well. All of the goalies are eligible to return. On the under-18 team, the majority of the games could be given once again to Lars Barmoen Halvorsen, who had a 4.80 goals-against average and an .828% save percentage in 17 games last year. That being said, he could find himself contested for the #1 job on the under-18s by Truls Olsrud, who appeared in 14 games of his own last year. That being said, however, hockey is a game in which anyone can come and take the place of a more established player. Axel Lund Oppi and Bjørn Gustav Kringsjå, two 1996-born goaltenders, could come in and take a job away from Halvorsen or Olsrud. As for the under-20 team, the games last year were split between Petter Hågensen Mathisen and Kristian Nybakken Lund. Mathisen was statistically the #1 goaltender last year, registering a 3.82 goals-against average and an .862% save percentage in 11 games. Lund played two games in the First Division but he is ending his hockey career. Storhamar’s #1 goalie this season, however, will not be Mathisen; as mentioned earlier, the #1 will be Daniel Jørgensen, who was brought in from a transfer from Lillehammer. Happily, Storhamar’s under-20 team also has a third goalie; Daniel Kjønniksen had a 2.72 goals-against average and an .882% save percentage in 18 games in the under-17 league in 2010-11. He missed the entire 2011-12 campaign, however, tending to his ill mother, who sadly passed away on May 17th. This season, Kjønniksen could return to back up Mathisen since Lund will not come back. 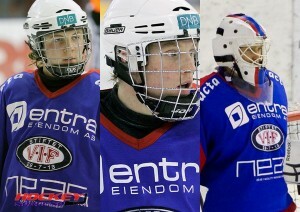 Vålerenga is going to be at the crossroads of Norwegian junior hockey in 2012-13. Another team based out of Oslo, Vålerenga has found themselves with an incomparable dilemma. Due to the structure of their promotion program, many junior-age players have gotten considerable professional experience at young ages, some as young as 17 years old. The task at hand for Vålerenga in this first year of the new structure would be to re-acclimatize the players who have been professionally groomed back into the rhythm of junior hockey that many of them have left behind. While some of these players could very well stay in the professional ranks, it is not unwise to assume that they could return to junior hockey for the chance not only to hone their skills but to keep them fresh, giving them the opportunity to play more often than they would at the top level. Up front, Vålerenga’s junior program could benefit immensely from the return of Jørgen Karterud. A 6‘4“, 190-pound forward, Karterud has been one of the most dynamic 1994-born players in Norway and it is unfair that he was not chosen in the 2012 NHL Entry Draft. He has speed and skill that make him one of the more complete players who could be a considerable scoring force in Norwegian junior hockey if he is to return. Karterud has been given ample opportunity to prove himself at the professional level and this was overwhelmingly indicative when he scored his first professional goal in the GET-ligaen as a 17-year-old shortly before Christmas of 2011. Karterud would also provide leadership to what would be a considerably young under-20 team, something that would make his demotion to junior hockey more of a blessing than a curse. If Karterud does not return, several forwards could come in to play for the under-20 team, including Markus Blistad Pedersen, who proved himself considerably in both the under-19 league and the First Division last season. Pedersen had 26 points (eight goals, 18 assists) in 22 games with the under-19s and 23 points (six goals, 17 assists) in 25 contests for the second-tier squad. Team captain Preben Birkeflot, Sondre Bredahl Sæby, Andreas Presthus and Bastian Tangen Fausa (who only played one game last year) could come back and do well. Espen Fanøy Salo, who was brought in via transfer from Manglerud during the 2011-12 season, could play for both the under-20 team and the GET-ligaen squad next year, as well. In relation to the under-18 team, one player who could surely come in and become a veritable star in Norwegian junior hockey is Ludvig Hoff. 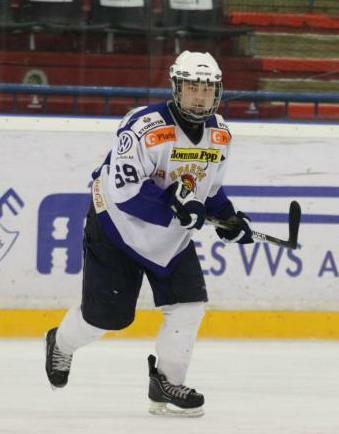 A 1996-born forward eligible for the 2015 NHL Entry Draft, Hoff is expected to join Vålerenga’s under-18 team but, judging by his 2011-12 campaign, it would not be completely unusual to see him alternate between the under-18 and under-20 teams. He had managed to score 29 points (12 goals, 17 assists) in 20 games in the former under-19 league as a 15-year-old last season. His older brother Magnus is one of those players, though, who may be retained by the GET-ligaen despite the fact that he is still junior eligible after the elder Hoff recorded 24 points (nine goals, 15 assists) in 41 games in the top league last year. Additionally, the under-18 team will have the likes of Vegard Aspehaug and Raymond William Sørensen, both 1996-born players with significant offensive potential. 1997-born forward André Lyngås should be given ample opportunity to contribute, as well, after playing in two games last year. One of the biggest voids in Vålerenga will be on the blueline. John Nicolay Furuodden Næsgård, a 1993-born defenceman with considerable international experience, could definitely return to an otherwise young corps that includes the likes of Sebastian Renden Skråmo, Jonas Løken, Tim Mørk and Jonas Virtanen on the under-18 team; additionally, Tobias Solberg, a 1997-born blueliner, will be a significant help, scoring two goals in a nine-game stint with the under-17s last year. Stian Iversen and possibly Tallak Lyngset (who could be in the GET-ligaen) will be the key blueliners on the under-20 squad. This youthful defensive unit will have to step up their game considerably, especially with the goaltending they are playing in front of. The under-20 team has only one goalie so far, Thomas Bakke Narmo, who is the biggest goaltender in Norway at 6’8″, but their under-18 team has considerable options in goal, such as Dennis Valentin Tschudi and Jørgen Moflag, both of whom would be a formidable backup for him. Norwegian junior hockey is going to find itself making strides in the right direction with the institutions of under-18 and under-20 leagues. Players will not have to worry as much about having to play professional hockey at 16 and 17 years old. They will be allowed to flourish among players their own ages, giving them the opportunity to all grow together. With these leagues being implemented, the long-term effects will be considerable. The under-18 and World Junior teams will no longer be the laughing stocks of their tournaments; instead, like the men’s national team, they will continue to grow and flourish, showing that they can compete with other top countries. The benefits will surely increase over time. More players can be scouted for the CHL Import Draft and the NHL Entry Draft, something that will also prove how hockey in Norway is on the rise. Issues left behind by the former structure may take some time to rectify but this is a significant step forward and the only way to go now is up.